One problem is the sweetness of the chocolate and the wine. 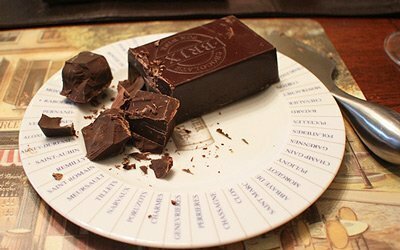 If you eat the wrong chocolate it alters our perception of the wine, causing the wine to taste bitter and astringent. Adding strawberries made the chocolate even better with the wine. 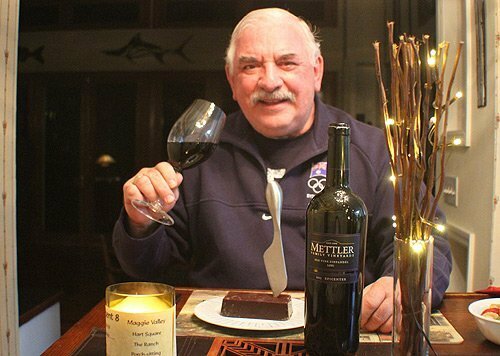 I found a great pairing with the Mettler Old Vine Zinfandel 2015 ($24-26) and a medium dark chocolate (60 percent cocoa) from BRIX, a company that specializes in wine to pair with chocolate. After fermentation it spent 14 months in 80 percent American and 20 percent French oak. The barrels were 30 percent new, 30 percent one-year old and 40 percent neutral. This weekend would be a good time to be stuck in Lodi. The 22nd Wine & Chocolate Weekend will be Saturday and Sunday (February 9 and 10). If you find yourself anywhere near there it would be worth a visit. Tickets are $75, but if you are a wine club member at one of the Lodi wineries, the cost is only $55. Tickets include a wine glass and a one-ounce medium dark bar from BRIX plus wine tasting and admission to all participating Lodi wineries on both days. 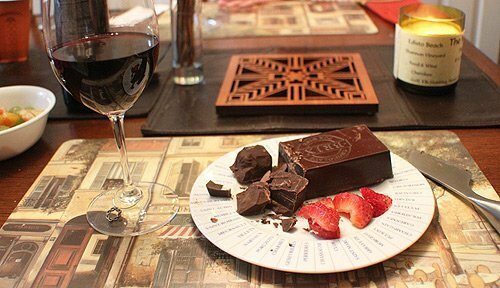 If you’re not in Lodi, you can just plan your own wine and chocolate tasting at home. What could possibly be bad about wine and chocolate? The BRIX chocolate was delicious. Specializing in three core varietals, cabernet sauvignon, zinfandel and petite sirah, their vineyards are certified sustainable and organic. They use integrated pest management, cover crops and composting, and handle disease control through trellising, shoot positioning and leaf removal. Their emphasis on healthy vines leads to consistent wine quality. Their commitment is to preserving the vineyards for generations to come. After growing grapes for many top wineries, in 2001 the family released its own wine, a cabernet sauvignon. It was widely praised, and the family has since added petite sirah and zinfandel to its portfolio. They now produce albarino, muscat canelli, chardonnay, a GSM blend, a red blend, a pinotage and an aglianico. Both Teri and I marveled at how well the wine and chocolate were paired. The sweetness of the chocolate did not clash with the sugar in the wine, but seemed to blend with it. Extra dark: cabernet sauvignon, Bordeaux, barolo, malbec. It should also be good with cabernet franc, touriga nacional, super tuscans, amarone, barbaresco, nebbiolo, young shiraz and tannat. Medium dark: merlot, shiraz, zinfandel, chianti and Rhone. Also good are Brunello de Montalcino, Montepulciano, sangiovese, tempranillo (rioja), grenache/garnacha, carmenere, primitivo, mourvedre, tinta barroca, tinta roriz and baco noir. Smooth dark: Champagne, riesling, pinot noir, vintage port. Also prosecco, brachetto, beaujolais, gamay, baco noir, white port, LBV port, ruby port, aligote, viognier, chenin blanc, gewurtztraminer, semillon, pinot gris and vidal.